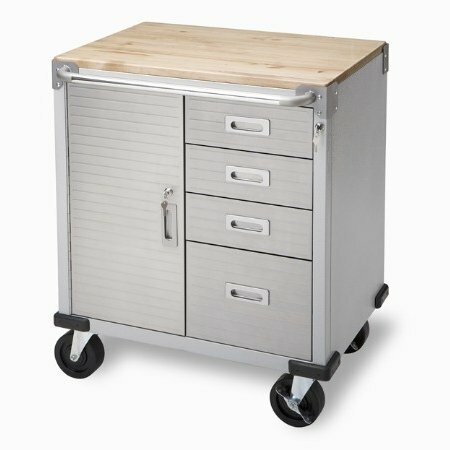 This is a rolling toolbox with a work bench on top. However, doesn't it make a great island? It would also make a fabulous sideboard or buffet. 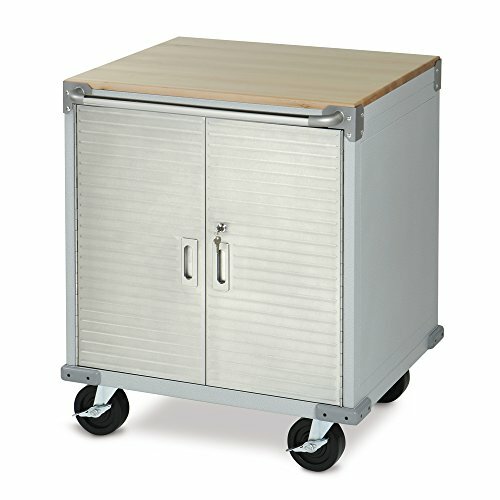 It could pull duty as a craft cabinet, or a place to stow sewing notions. It would even make a great credenza for your office......and all for less than half of what you would pay for it at most trendy furniture stores. Click here to check the price of this terrific piece! If you are looking for a pop of color, this is the sideboard for you. Leave it as is or distress it for a more shabby chic look. The drawers lock to keep your valuables safe, such as your silverware. This piece also makes a fabulous TV stand or kitchen island. Great industrial style for less than $490, which includes shipping. 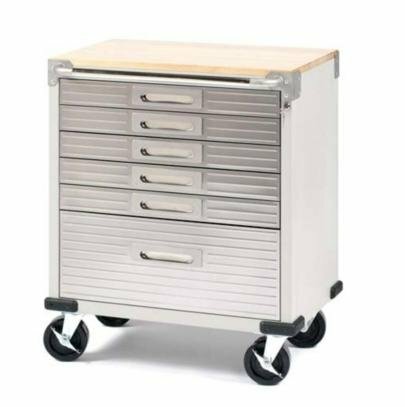 The sleek industrial design makes this workbench versatile enough to organize and store many different types of items, not only in the garage but in the kitchen or craft room. This "workbench" is beautiful enough to be a piece of furniture in your home! If you don't have room for a large sideboard or island, these smaller sized ones would be perfect, and they come in three different styles: all drawers, half drawers and a door, or all doors. Perfect storage piece for a corner or short wall. These also make the perfect kitchen mate, simply roll them where you need them when cooking and then roll out of the way when more room is needed. At between $230 and $300 they are very affordable and give and industrial chic boost to any room's decor. Clean, classic lines in stainless steel are what this sideboard is all about. Fits in tight spaces because it is only 15 inches wide. Great for foyers, dining rooms and living rooms. 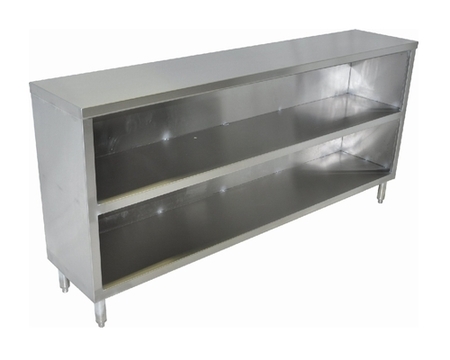 Industrial stainless steel makes it easy to clean and a piece of furniture that will last practically forever! Dimensions are 48W" x 35" H x 15" D.
This piece is sold as a potting bench, but it would also make an absolutely awesome sideboard. Stain it or paint it, or leave it as is, it would be beautiful with plates stacked and coffee cups hanging on S hooks from the lattice. It would also look great with books and knick knacks. A gorgeous piece for less than $75.